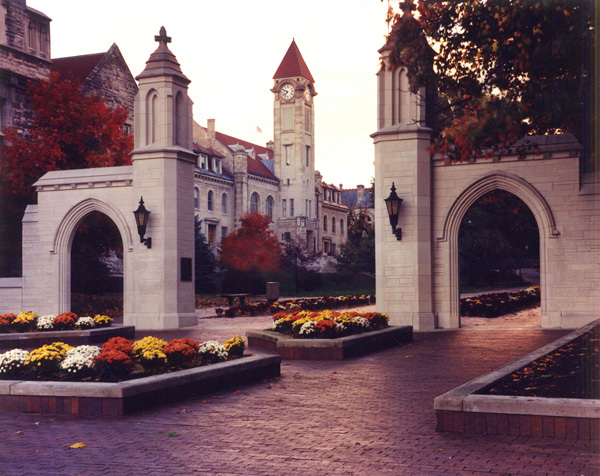 I remember the first time I stepped foot on IU’s campus I fell in love. It was then I knew that this was the school for me, and since then I’ve learned so much more about why I love IU so much not only as a school, but a place to belong to. That being said, I still visited IU three times before becoming a freshman oh-so many years ago. Choosing what school to spend the next 4+ years at is a big decision because college is where your life truly starts. It never hurts to be completely sure that the school you’re looking at is the perfect one for you. Luckily IU has so many charms, quirks, delights, and thrills becoming a Hoosier is an adventure you won’t want to miss. IU’s campus is what caught my attention, and I know I’m not alone in that. 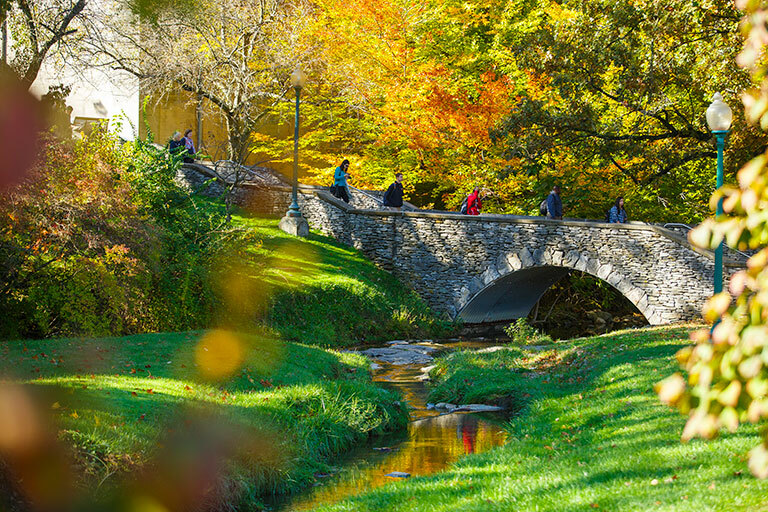 With limestone buildings sprawling across campus, people always out and about, and nature a prominent feature, the atmosphere is always bright and alive. With each new year of school, I keep finding little treasures hidden on campus that take my breath away. My freshman year I remember being astounded by the view of the winding stairs leading up to the North entrance of the Student Union. I still can’t help but gaze at it each time I pass, but I’ve added so many more little pieces of campus to my collection of beautiful views, it’s hard to keep track. From open meadows to set-in-nature amphitheaters, nooks and crannies of your favorite buildings to that spot of campus that overlooks all the rest, you’re guaranteed to not only find your niche on campus where you can study, be yourself, imagine, and create, but you’re guaranteed to find several. This is coming from a seasoned introvert. When I was looking at schools back in my Junior year of high school, everyone was recommending little, small schools they thought would be perfect for me. When I mentioned IU, everyone was slightly taken aback, but still supportive. I’ve always loved the idea of big cities and the fact that at some point in the day someone is always up and doing something. And that’s another reason why I chose IU. With a total enrollment of over 40,000 students, it’s hard to be bored. Such diversity, interests, passions, and opportunities are so prevalent on campus, you’re guaranteed to find something that piques your interest. If the thought of a big school doesn’t sound appealing to you, it’s possible to make a big school small. Find your club or activity, make a strong and small group of friends, sit in the front of lecture classes, and find other ways to make IU your small piece of heaven. Doing the reverse and trying to make a small school big might be a bit harder. Something else that comes along with a big school is lots of great options for majors, minor, classes, and future prospects. Just take a brief look at the list of majors and minors and you’ll see what I mean. 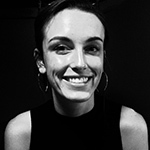 This is great for students who come to IU as exploratory majors or not completely satisfied with their first choice of major because the option of going into something completely different is always possible. With lots of accomplished and well-ranked schools no matter how specific or not you plan on going with your major, there’s more professors and advisors than you can count who will have your back and motivate you forward. 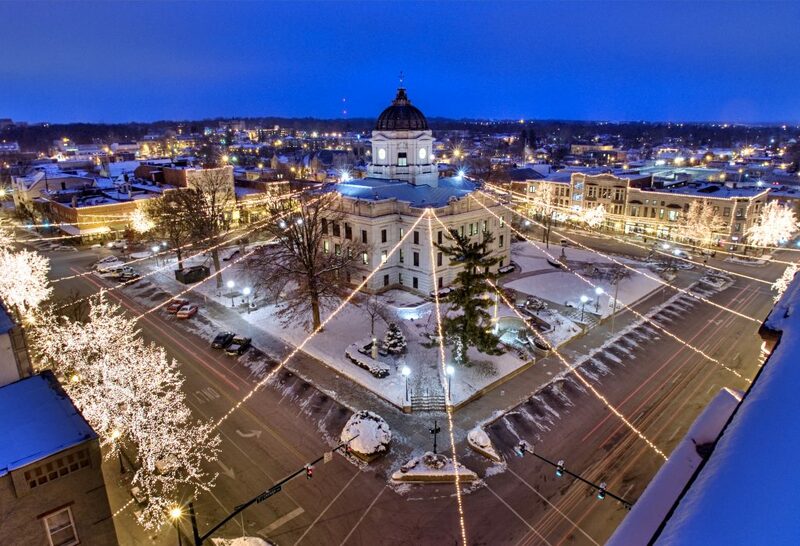 Without the university population, Bloomington as a town isn’t necessarily big, but there’s still so much to do. With it being only an hour or so south of Indianapolis and a couple hours more to Chicago, Nashville, or Cincinnati, in Bloomington you’re never too far from a big city or a fun weekend trip. But if you’re more of a nature person Bloomington is great, too. With three lakes nearby, forest preserves, great hiking trails, and tons of trees on campus, Bloomington is like the best of both worlds. Soon after spending some time in Bloomington, you’ll definitely find your new favorite restaurant, visit Oliver Winery (or a brewery if that’s more your style), spend time at the Tibetan Mongolian Buddhist Cultural Center, see a new play or musical at one of the theaters or catch a great show at the Bluebird, and do so much more. There’s always something going on, places to go, and people to see. 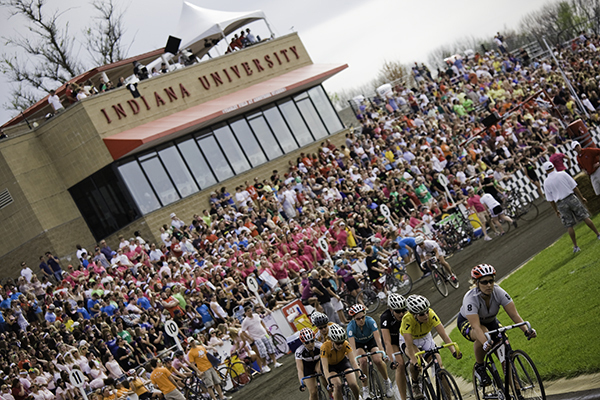 Little 500 is more than the bicycle races and the partying. While the races are a fundamental part of Little 5, this is a week where the culture of IU really comes out. Expect to have friends visit for the weekend because thousands of people visit IU during this time to attend concerts, hang out at the races, and attend events around campus, Bloomington and Monroe County. 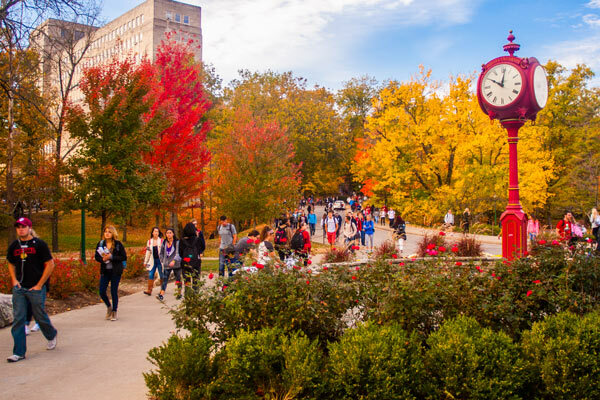 This time of year everyone’s IU spirit is louder and prouder than ever before! Little 5 truly is something special and you’re guaranteed to have a great time! For the past 3 years I’ve had a part-time job at an IU spirit wear store on Kirkwood. 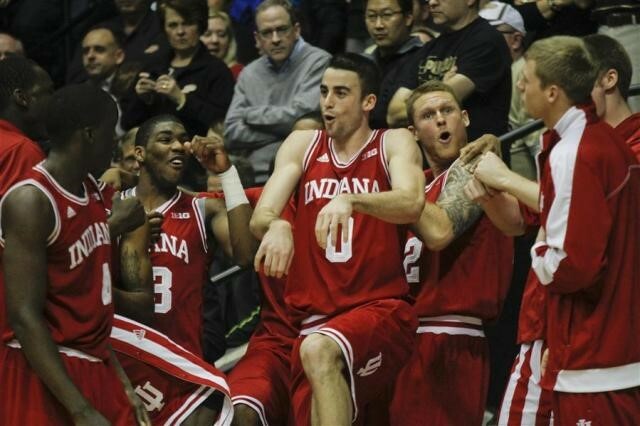 People from out-of-town and new students on campus among others always ask me the same question: what is a Hoosier? It’s a person from Indiana, I always tell them. Look it up online, and you’ll see that answer there. But with that definition comes the fact that in someone else’s head, a Hoosier looks different than what I think a Hoosier looks like. There’s no cut-and-paste image of a Hoosier. And therein lies to answer to what a Hoosier really is. From the moment you get accepted and decide to attend IU to the years after you’ve graduated and are now alumni, a Hoosier is what you make of it; a Hoosier is you.